The Wimbledon branch of legendary London classic, Osteria San Lorenzo, opened in December 1969, six years after its progenitor, and quickly established a position of lasting prominence. As a neighbourhood establishment, it's one of the area's most versatile destinations, catering to a broad range of requirements for local people and businesses. Its longevity confers a cherished historical and social significance to many loyal patrons who regularly celebrate landmark moments in their lives here. Some of these people were small children when they first came to San Lorenzo with their parents. Now they bring children of their own, and the cycle continues. For two weeks of the year the restaurant achieves its full potential when tennis players, agents, sports journalists, executives, tournament directors, and tennis aficionados, regularly return to these familiar comforts and mingle freely with their peers. San Lorenzo remains true to the founding values of its osteria genes, which is why we continue to produce all our food by hand, using only traditional methods. We totally reject the use of boil-in-the-bag and sous-vide preparation, a practice so prevalent today, not because we refuse to embrace technology but because we simply prefer the integrity of traditional methods. It's therefore relevant to know that our entire kitchen staff has been trained from scratch in order to maintain this experience. All our sauces are prepared daily, we make our own bread and pizza doughs, and all our ice creams, sorbets and desserts are produced in-house. With the exception of slow-roasts, soups and casseroles, every dish is prepared on the moment. The regional derivation of our cuisine is predominantly Tuscan, with strong influences from Piedmont, Lazio, Veneto and, to a lesser extent, the remaining regions. Our culinary heritage reflects Italy's diverse and fragmented cultural history; from goulash in the north to cous-cous in the south, every area is steeped in its own unique local tradition. Ever since the pioneering zeitgeist of the sixties and beyond, San Lorenzo has played a pivotal role in introducing culinary ideas. It was among the first to serve such now ubiquitous staples as olive oil, buffalo mozzarella, avocado, sea bass, monkfish, prosecco, and many others. It's hard to imagine that some of these items weren't even well known until the late nineties. It was also one of the first to serve wholegrain ingredients like wholemeal pasta and brown rice, at a time when health food was an avant-garde seventies concept. It then introduced a little-known Piedmontese dish and made it world-famous: Crudités con Bagna Cauda. Later, during the eighties, San Lorenzo was almost single-handedly responsible for pioneering the debut of an entirely new generation of Italian wines; super-Tuscans such as Tignanello, Sassicaia, and Solaia. And later still, it quite literally kick-started the universal trend for prosecco. 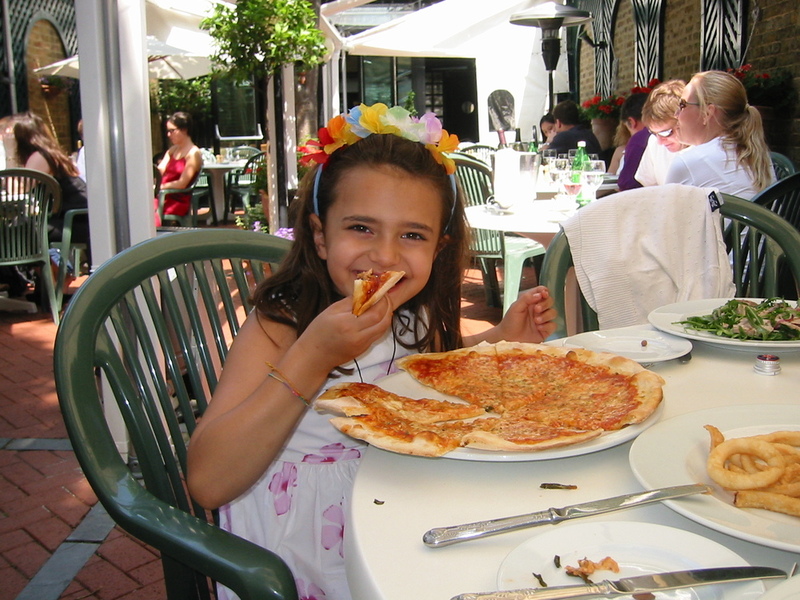 During the early nineties, San Lorenzo Fuoriporta introduced possibly the very first thin-crust Roman-style pizza. More recently, we've been incorporating the more esoteric influences of those Italian regions which, historically, were influenced by North Africa, the Eastern Mediterranean and the Far East. Yet, despite an endless quest for discovery and evolution, the paramount ethic has always been to strike a balance between culinary heritage and modernity, with the emphasis firmly on quality and simplicity. We firmly believe this philosophy to be one of the more important underpinnings of San Lorenzo’s astonishing longevity.